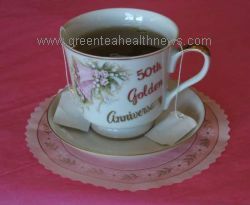 Not just for weight loss, green tea health benefits cover a wide range of health conditions. Do you know all the ways the research shows that it can help keep you healthy, and possibly save lives? acne, allergies, alcohol detox, anemia, anti-aging, bad breath, body odors, cataracts, diabetes type 1, diabetes type 2, diabetic retinopathy, frostbite, gastritis, glaucoma, kidney function, neurodegeneration, muscular dystrophy, osteoporosis, rosacea, sleep apnea, stress, ulcers, and more. 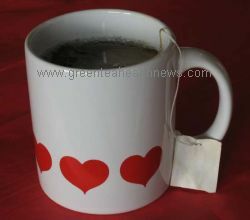 Here you can also learn basic and exotic facts about teas. 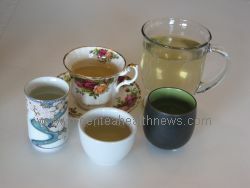 Do you want to know the differences among green, white, black, oolong, puerh, and herbal teas? Why different water temperatures are best for brewing each one? 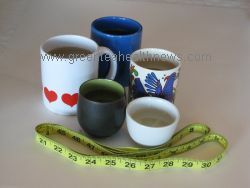 How much caffeine is in each cup? The secrets of gourmet selections? Who discovered it? Or which American presidents drank it regularly? You can find the answers here. When you want to make this delicious beverage part of your daily life, or enjoy a delightful party, you will find extensive resources here, including a wide variety of selections you can buy online, by phone, or by mail, including samplers, premium gourmet choices, teapots, teacups, accessories, unique gifts and gift basket ideas. When you want to share something interesting from this website with your friends, loved ones, and networks, you will find a "share this page" social networking invitation at the bottom of every page. If you like us, just tweet, email, or click it forward. We have visitors from 175 countries and territories. Are your friends among them? We are dedicated to providing you with complete information about green tea benefits, including scientific research, controversies, facts, resources, and up-to-date news. 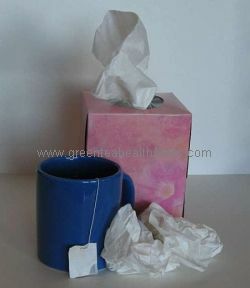 This website is where you can learn how green teas make you healthier, so you can feel better and live longer. Are you ready to find out what over five billion people are discovering every day?